Siberian Huskies have increased in popularity since everybody went insane for the Game of Thrones series. This is not good, because these dogs need specialized care and people cannot manage it. So now there is a huge increase in abandoned Huskies. This is a very sad and cruel situation that can be avoided. We strongly urge beg you to do your homework before bringing a Husky home. You’re off to a good start, but keep reading, because there are lots of things you need to know about Huskies (hint: they are too much dog for most people). The Siberian Husky was developed by the Chukchi tribe in, you guessed it, Siberia. They were bred to pull loaded sleds but were also family companion dogs. The first Huskies to land in America were imported to Nome, Alaska. Breeding of Siberian Huskies started in earnest after a heroic trek running 674 miles (1,085 km) in 127 and a half hours to fetch diphtheria serum. The breed was officially recognized by the American Kennel Club (AKC) in 1930. The first standard was published in the AKC Gazette in April 1932. To care for a Husky puppy, follow the general principles of dog care. Caring for an adult Siberian Husky is another story altogether and requires a lot of dedication. Care involves at least nutrition, grooming, exercise, training, and health. Love and affection are self-evident. Surely. Huskies have been bred as working dogs, not house pets. Their dietary needs are very specific as to the composition of protein, fat, and complex carbohydrates. Amount of food to give is determined by exercise level and timing, age, and general health. And if your Husky does not eat, relax. Get worried if it lasts for more than 2 days or if it stops drinking as well. Check out our picks for best dog food for Huskies. Twice a year in volumes when they “blow” their coats. Otherwise, continuously throughout the year. Grooming must consist of brushing at least once a week to prevent matting. Do not clip or shave or remove the undercoat. Bathing, not more than once a year. Huskies need lots and lots and lots of exercise. You need to exercise them vigorously, every day. Dog sports or sledding is excellent. Mental stimulation is necessary as well for this intelligent and inventive dog. Untrained Huskies will become the top dog in your home. That means it will take your place as leader of the pack. They need to be taught from puppyhood what is allowed and what not. Professional obedience training classes are recommended over home training because Huskies are very strong-willed. You need to know what you are doing or suffer the (very frustrating) consequences. Siberian Huskies that have had all their vaccinations, exercise daily and eat good quality food are generally very healthy. The risks for the inherited diseases and other conditions listed below are higher in Huskies than other dogs. Siberian Huskies were bred to be working dogs. They are not playmates, substitute children, guard dogs, or ornaments. They are at their best if they have a physical job. 2. Huskies Must RUN, Every Day! Huskies are champion sled dogs. It has been in their blood for centuries. They must get an hour to an hour and a half exercise a day. They need running at least a couple of times a week. 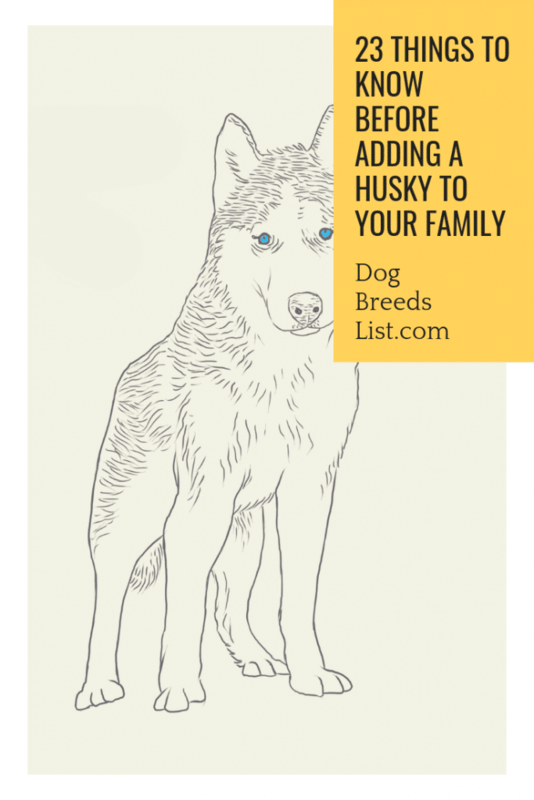 If you cannot provide that, your Husky is going to develop behavioral problems. The Husky’s need for exercise cannot be overemphasized. They must, must get exercised every single day. And it must be robust exercise. You are going to spend a lot of time outside of this apartment if you want to keep your dog happy and healthy. Which is what we all want to do, right? The best home for a Husky is a place with a large, fenced yard where it can keep itself busy running around. Siberian Huskies are diggers, particularly in warm weather, because they like to create a cool hollow to lie down in. They can dig up yards and flower gardens in no time at all. Giving the dog a specific place to dig in the yard is only sometimes successful. They dig all over, including inside the house. The big yard and lots of room do not mean that your Husky will not escape and wander off to explore the neighborhood. They are accomplished diggers and it is a very simple matter for them to dig underneath fences. A fence that’s at least six feet high (but eight feet is better). Solidly built – wire mesh just provides them with footing. With wire or concrete barriers below the ground. Huskies can jump fences that are not high enough, break tie-out chains, slip collars, and find many other ways to escape. And once they have escaped, they can become lost or injured very easily. Having said that Huskies are not primarily a playmate, they are actually very playful and need another dog or a human to play with. If not, they become bored, and bored dogs try to amuse themselves in ways that to you will seem destructive. Obsessional digging is one of the symptoms of a bored dog. They do not cling to their owners, but when they are well cared for and happy, they are wonderful companion dogs. Husky love is real and many owners testify to that end with many videos and posts. A Husky doesn’t know the difference between playing with a toy and playing with your Persian Carpet. They will dig inside as much, if not more, than they do outside. Their feet and nails are capable of tearing through almost any material in your house, including drywall. If that isn’t enough, they can chew anything to shreds. Furniture, electric cables, mobile phones, linoleum, you name it, nothing is safe from them. It is very amusing to scroll through the photos and videos of Husky house damage – not at all so funny when it is your stuff. And remember, as soon as you replace the ruined items the Huskies will do it all over again. Leaving your Husky in the car is a risky business. If you stay away too long it will happily rip up the seats and the interior upholstery. Seatbelts are spaghetti to a Husky. Huskies are pack animals, not loners. It is not in their nature to guard and if you try to train them like that, you are doing the dog and yourself a disservice. It is territorial and will defend its boundaries (physical or psychological) if it feels threatened. But it would much rather make friends. Most owners will joke that Huskies will welcome the burglar into your home instead of chasing him away! The reason why Huskies are not good guard dogs lies in their amicable nature as well as the fact that they are not naturally aggressive. Siberian Huskies are sociable and get along well with most other animals and people. That does not mean that they will never show aggression. Overstimulation will make even a Husky resort to aggressive behavior. “An adapted effort to establish control (physical or mental) over a vital resource or situation that cannot be controlled (from the dog’s perspective) through another means”. In other words, somehow it has been driven into a corner, whether physically or emotionally. Another reason why Huskies don’t make good guard dogs is that they do not alert bark. On the other hand, they are excellent and enthusiastic howlers. Leave it for too long – and it differs from dog to dog how long they can stand being left – and it will howl like a banshee. Not very good for your popularity. They usually will start howling whenever they feel neglected. Unfortunately, they sometimes start howling for no obvious reasons. Be Damned if you can shut them up. It becomes even worse when there are more than one of them around – music to your ears, but not to everybody else’s! Siberian Huskies are friendly, curious, want to play, love people, get excited when you or anybody else arrives at home – so they jump up. Puppies are cute and get rewarded with love and attention when they jump. You have now taught the dog that jumping is acceptable and a great way of getting attention. They will keep on jumping even when they are huge grownup dogs. Unless you teach them otherwise right from the start and don’t waiver in enforcing the rule not to jump. There are techniques to stop your dog from jumping. Hitting, kneeing, squirting stuff into their eyes, hanging them by their collars (people who do that should not be keeping any dogs at all) are not part of it. And teach your guests to interact with your dog on your terms. Otherwise, your guests can sabotage your teaching in no time. Perhaps some primitive memory is stirred that makes them think the leash is a sled harness and now it is time to pull!! More seriously, they can bite through a leash with one bite. Take care and watch them when you are walking. They are also very strong and can pull you off your feet without any effort. For such an intelligent dog, Huskies have an astonishing lack of street sense. Letting a Husky off his leash whether on purpose or by accident, almost always leads to disaster. They do not realize that traffic will not stop for them. Huskies are intelligent and curious. They are independent and strong-willed. So, just like people, these traits can make them stubborn. It can make it very challenging to teach and train them. Never, ever, beat or strike a Husky that does not do what you want it to, or does something you do not want. This will only make it worse. Do not underestimate the time, patience, skill, and determination it takes to train a Husky. If you cannot sustain the effort, do not get a Husky. There are already too many of them in shelters due to optimistic, uninformed owners who give up on them. 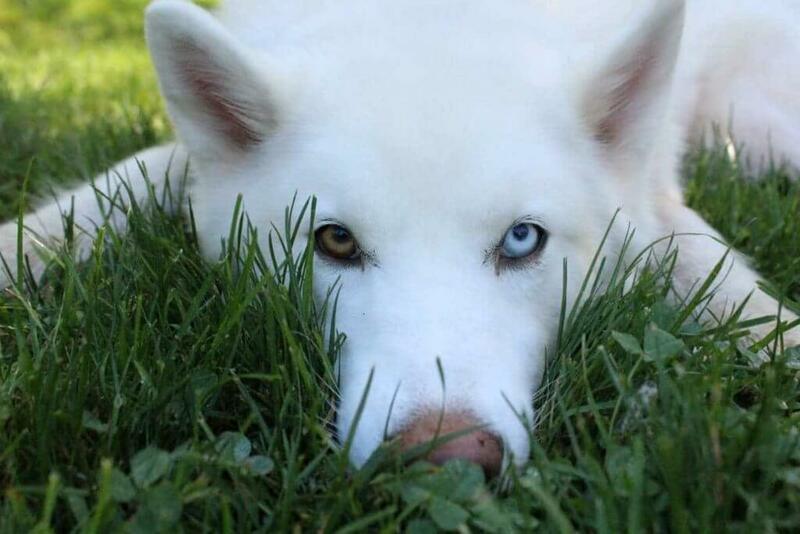 Part of the charm of Huskies is their beautiful blue eyes. Or one blue and one brown eye. But they really know how to use it! CC Image “husky” via s k – thank you! Too often they will respond to your commands and invitations (Come, Boy!) with the Husky stare. They turn those uncanny eyes on you and stare as though you have turned into something small and foul-smelling. If you let that intimidate you, you have lost. They are number one. Stare back and affirm your leadership! 17. They Need a Number One Pack Leader – You! Siberian Huskies have been bred to work with a leader. Some individual dogs can only ever be the pack leader. A leader dog is very intelligent, runs without needing other dogs to follow, and understands a string of human commands. They belong in a sledding setup where their talent and personality can come into its own. These dogs are not common, so when you obtain a dog, make sure that it is trained from puppyhood to know that you are the leader. If you do not, you will understand why Huskies have a reputation of being “difficult to train”. It’s because they think they are the leader. Do not ask the dog to do something, tell him! Your leadership must be clear and consistent (refer to why dogs become aggressive). Training and obedience classes are the best options to help you achieve this. That said, there are owners who say that these dogs are very well able to distinguish the difference between class and home, and behave accordingly. “Good dog!” in class, and deaf dog at home! The truth is simple – either you make the decisions or they will! Consequently, Huskies fit best with experienced dog owners who are confident, set rules firmly, and are consistent in their treatment of the dog. Remember that the dog sees your family as its pack. Be careful to train the dog to recognize who the human leaders are (you, your partner). It must obey commands from everyone in the family who is capable and sufficiently responsible to be giving it. Otherwise, when you are absent the rest of the family is stuck with an unruly, disobedient, nuisance dog. A final word on the pack issue. Once a Husky has accepted you and your family as its pack, it can become so loyal that it becomes jealous will not allow anybody else near you. Experienced owners will know how to deal with it. If you do not, get help. Now we have established that Huskies are friendly non-fighters it is time to mention, not to anybody. They are predators who used to hunt for their food and so they will chase. Accounts of pet cats, canaries, and hamsters who disappeared down the family Husky’s throat abound. This is also the reason why they should not be taken off leash in any public space – they will chase squirrels, birds, and other small animals and kill them. Huskies eat a lot less than most other dogs. Their metabolism can get the most calories possible out of their food. But then it must be quality food. Must be high in protein. There are formulas for the exact proportions of these nutrients and it is very important that you feed them correctly. Cheap, low quality food will result in severe health problems and the dog may even stop eating. Your low food bill will be more than offset by your hefty vet bill. A fat Husky is almost unnatural, but feed them too well and don’t exercise, and they can become obese. They work as sled dogs! Siberian Huskies originated, were developed, and work, in cold climates. Everything about this dog tells you they are going to suffer in the heat. They may even become dangerously ill. If you want a Husky, but live somewhere hot, provide plenty of shade outside and have effective air-conditioning inside. During the summer, exercise your dog early in the morning or late in the evening to prevent heat exhaustion. Siberian Huskies have a very dense, plush coat with lots of undercoat. It stands to reason that they can shed a lot, especially in warm climates and seasons. Normally they would spend a week or more shedding very heavily, twice in a year. In warmer areas, the shedding will continue for three weeks. Even when they are not shedding, you need to brush your dog at least every day (yes, every day). You need to vacuum frequently to remove the clumps of fur that fall out all over the place. In spite of all the cleaning be prepared to have everything in your house full of hair. If you can’t keep up you will have to take the dog to be groomed. You will need to groom more frequently during shedding than otherwise. Fourteen years or more is par for the course for a Husky’s lifespan. They are with you for a good chunk of your life. It’s a long time to live with ripped furniture, hairy clothing, and a backyard worthy of prison. And no landscaping. And no “me time”. Huskies have unequaled vocalization abilities and they are no shy to share it – both via talking or tantrum. Watch the videos and listen carefully. Can you stand this every day for fourteen years? That should be enough to either make you more interested in bringing a Siberian Husky home…or to put you off for good. 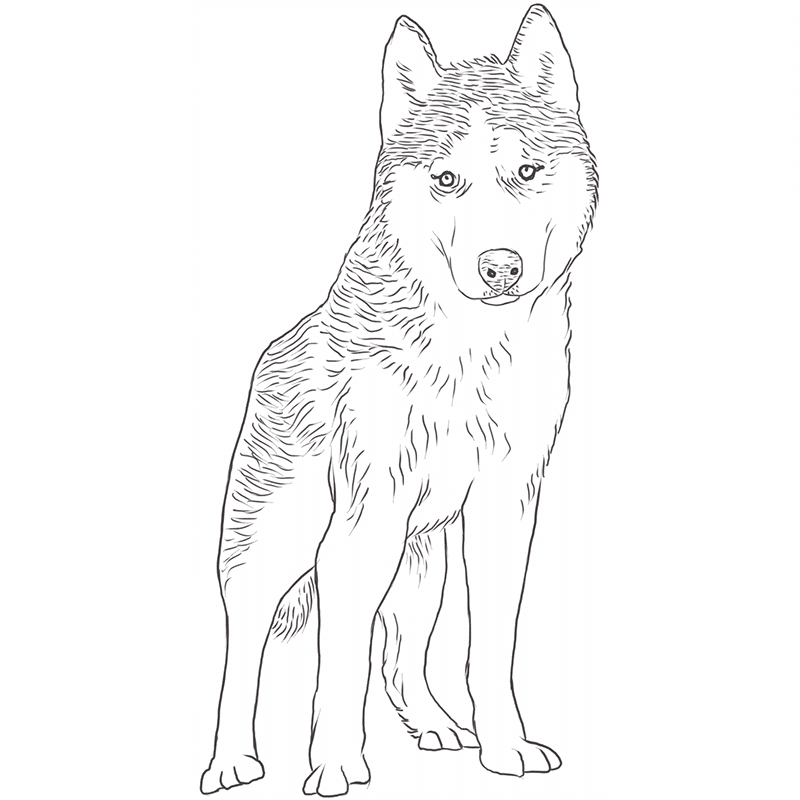 Siberian Husky Origin: Where are Huskies From? Can Huskies be Service Dogs? Are Huskies Better in Pairs? The Apartment Life: Can Huskies Live in Apartments? What do Huskies Eat in the Wild? Why do Huskies Throw Tantrums?